Specialists in training all breeds of retrievers for hunting and licensed hunt test. The Finest Boarding & Training Kennel in the country since 1954. 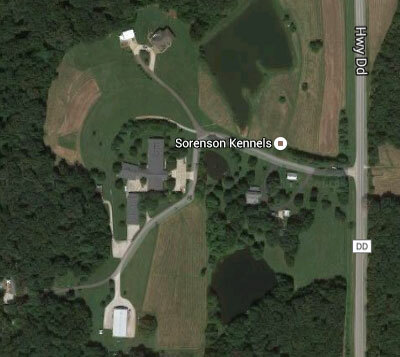 Sorenson Kennels dog boarding and training facility is the finest in the country since 1954. The facility is on 50+ acres with two beautiful lakes and seven different yard areas for the dogs to play and exercise. Accommodations are available for all breeds of dogs and cats. Sorenson Kennels also offers obedience training and retriever training. Multiple indoor/outdoor accommodations for all breeds of dogs and cats. Training of all breeds of retrievers for hunting and licensed hunt test.